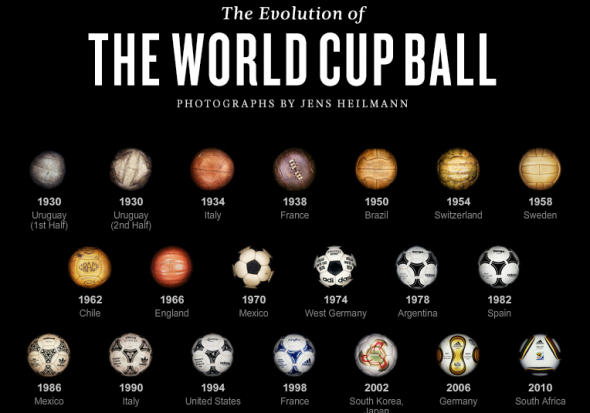 Fascinating photographs by Jens Heilmann, a German photographer, are used in this nytimes.com’s interactive timeline showing the evolution of the world cup ball since 1930. Accompanying the photo of each ball is a short story of why it is significant. If you are in the mood for it, you can also watch the video of the photographer talking about this project below. Still wanna know more? Head over here to find more information about this project.